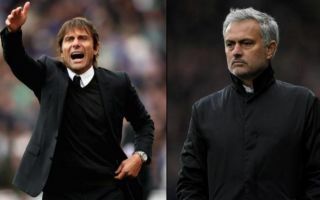 Jose Mourinho and Antonio Conte remain out of work after leaving Man Utd and Chelsea respectively last year, with Roma reportedly keen on appointing one of them. Mourinho left United in December, while Conte split with Chelsea last summer but has been entangled in a legal battle since, as noted by the Daily Mail. Both are expected to return to management this summer though, but according to reports in Italy, Mourinho has rejected the chance to take charge at Roma which could open the door for Conte to make the move to the Stadio Olimpico instead. As per Corriere dello Sport, it’s noted that Mourinho wasn’t convinced by the idea of taking the reigns at Roma, who continue to struggle to secure Champions League qualification this season after sacking Eusebio Di Francesco earlier in the campaign. Claudio Ranieri has since stepped in, but a long-term appointment is expected this summer as the Giallorossi will hope to kick on and cement their place in the top four in Serie A moving forward. With no deal for Mourinho likely, Football Italia note that reports from Il Tempo and La Repubblica suggest that Roma have switched their focus to Conte instead, with the former Chelsea boss said to already be in discussions with the Italian giants. It would be a sensible appointment from the club given Conte’s history in Serie A, having guided Juventus to three league titles during his tenure there, which was followed by a stint as Italy boss before joining Chelsea and winning a Premier League title and FA Cup in his two years at Stamford Bridge. Whether or not an agreement is reached remains to be seen, but it would appear as though he’s eyeing a return to Italy, whereas Mourinho is keeping his options open for the right job to present itself as he looks to put the disappointing end to his time at Man Utd behind him.